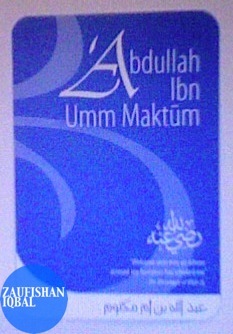 `Abdullah ibn Umm Maktum (رضي الله عنه), may Allah be pleased with him, was blind since birth [a]. 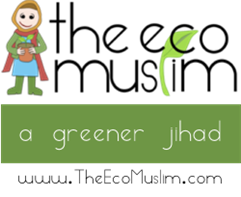 Being the cousin of the Prophet's wife Khadija (ra), he was amongst the first people to hear and accept the message of Islam. Eager to learn the Qur'an, `Abdullah once asked the Prophet Muhammad, peace be upon him, to recite a verse while he was calling a group of Quraysh noblemen to Islam. The Messenger of Allah, peace be upon him, continued inviting the noblemen, after which Allah revealed verses from Surah `Abasa advising the Prophet, peace be upon him, to give `Abdullah his due attention. So whoever wills may remember it." Along with Mus`ab ibn Umayr (ra) `Abdullah ibn Umm Maktum was the first to reach Madinah when the order of migration was given. 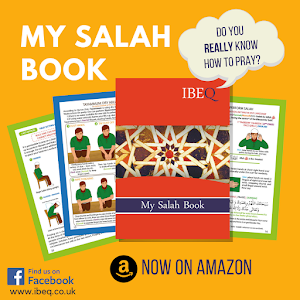 Both he and Bilal ibn Rabah (ra) were given the duty to call the people to prayer. `Abdullah was often left in charge of Madinah in the Prophet’s absence, he lead the prayers, and was martyred in the battle of Qadisiyah against the Persian Empire during the Caliphate of `Umar (ra) in 636. [a] Son to Qays ibn Sayd and Aatikah. Due to `Abdullah's life-long blindness his mother was called Umm-Maktum (Mother of the concealed one). [b] Another verse based on an incident involving ibn Umm-Maktum is the 95th verse of An-Nisa. Ibn Kathir's exegesis (tafsir) of the Qur'an relates that Prophet Muhammad told Zayd ibn Thabit the following verse: "Not equal are those believers who sit (at home) and those who strive and fight in the Cause of Allah", to which ibn Umm Maktum later said, "O Allah's Messenger! By Allah, if I had power, I would surely take part in Jihad (physical battle)". In response Allah sent down the excusatory revelation "... - except those who are disabled - and those who strive and fight in the cause of Allah."